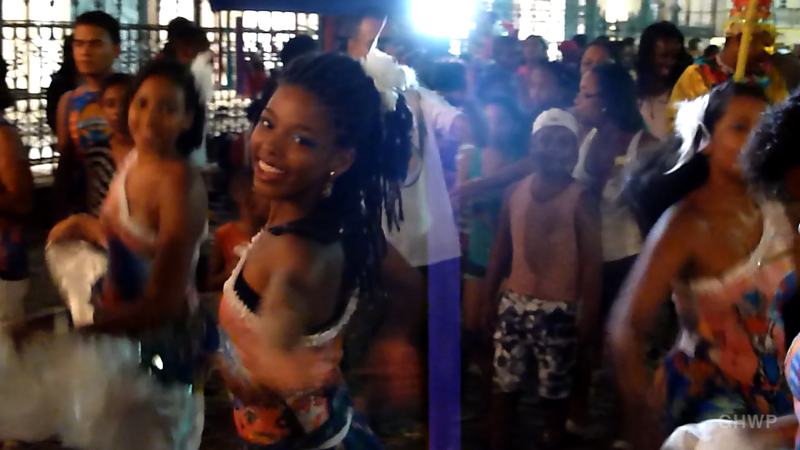 Carnival in Salvador, Bahia, Brazil is for me without a doubt the biggest party I have ever attended. Wow! … until finally we took a few days off and relaxed on the beach of Stella Mares on the north side of town. As with all the Brazil videos it’s impossible for me to fit into 1 minute all that I saw or do justice to how amazing the experience was. But I tried to squeeze in a little bit of everything: Carnival in Barra and Campo Grande, being part of the Timbalada Bloco, my friends, getting almost squished in the crowd of houndreds of thousands of people, all the pretty faces and bodies, the military, the cheap Skol beers, the music, the paranoia of pickpockets which made me film with my cruddy iPhone 3GS at first so my camera wouldn’t get stolen, the city beach, Carnival up in Pelourinho with its different rhythms, Capoeira and the restored beauty of the historic district, the water front buildings and then the ahhhh of heading up north to the beach. If you’d like to know more about Carnival in Salvador and especially the variety of music (which is different from the Carnival music of Rio or other parts of Brazil), check out this thorough article on Bahia Online.